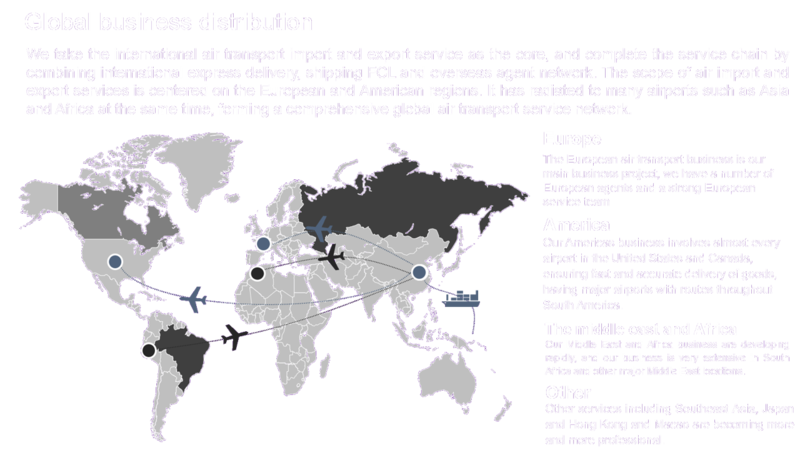 TOP PROCARGO CO., LTD is a leading air transportation enterprise in Ningbo. Our international air transportation business is based in airports in Shanghai with integration of Shanghai, Shenzhen, Beijing, and Dalian. We are in close relationship with airlines like CV, CZ, SV, CI, BR, KL, KL, HU, SK, and RU. We have an impeccable international agency network to provide clients with logistics solutions services including import and export custom clearance, custom inspection, storage and trucks.